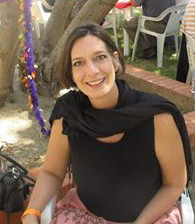 Apologies for not reporting more or earlier. Our internet at Cedros is worst by the day. 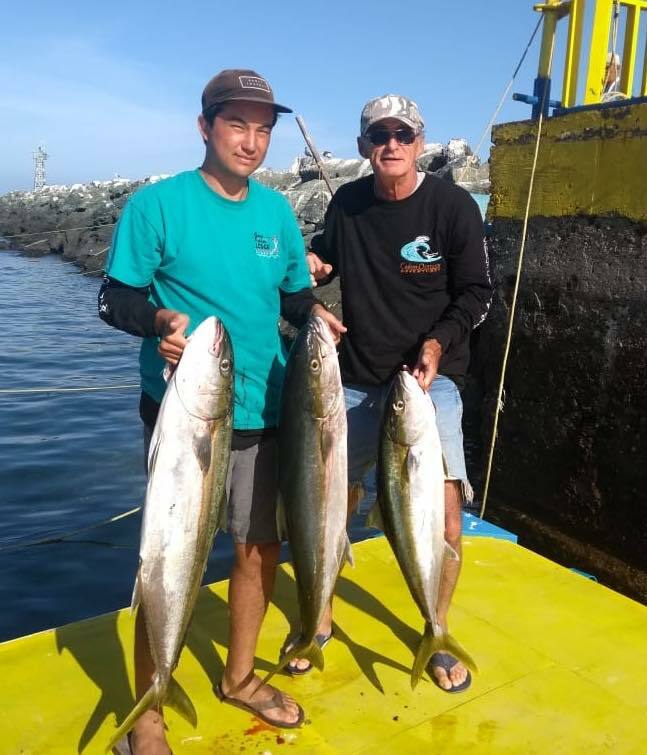 For the last week or 10 days, yellowtail has been hard to get at Cedros Island, which is uncommon by this time of the year. Although yellowtail schools of all sizes are swimming by our many pangas very few fish have been taken. The main suspects for this is the incredible amount of abundant red crab. Proof comes from the inspection of their stomachs, which burst out after cutting. Some guests mentioned that red crab is also abundant in SoCal waters. To make things more difficult probably half were lost do to cracked lines. Make sure your lines are fresh and nothing smaller than 50 test. Plentiful schools of species of bait; mackerel, sardine, didn’t help much either. 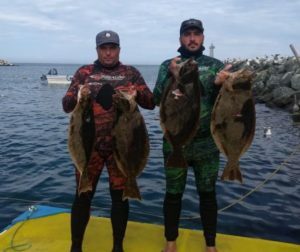 A reminder of the historic richness of Cedros island waters for what is known to anglers, and that its the ocean’s fast response to the protection from seiners and trawlers. 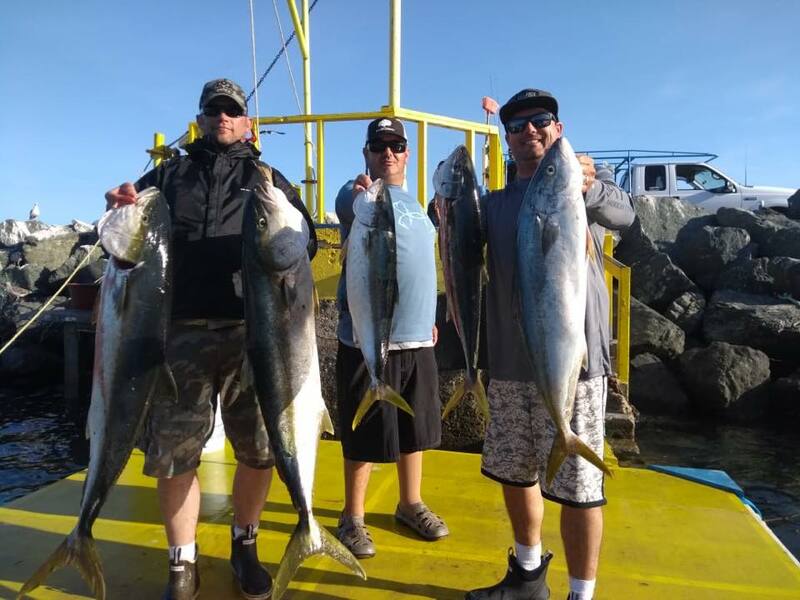 At least we were giving it our best shot, and after rumors of yellowtail at Benitos islands our pangas took our guests on a very calm day….bingo! 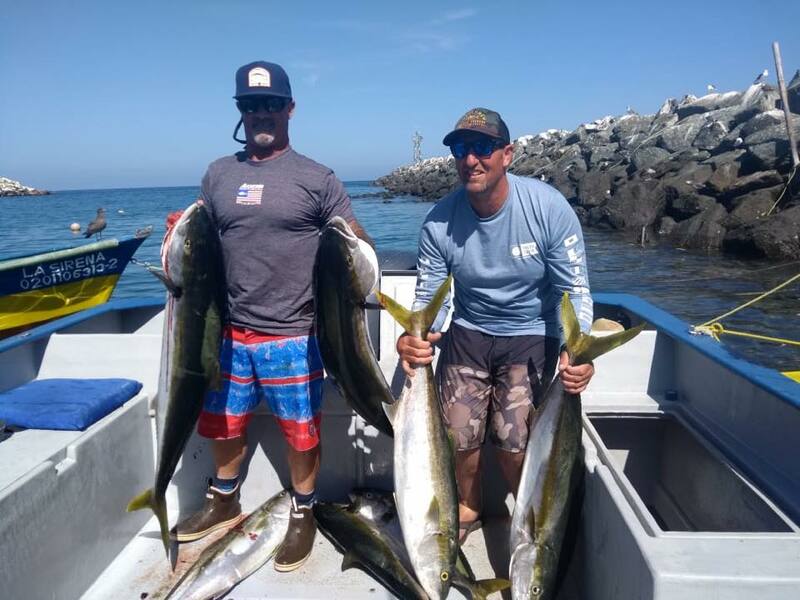 Yellowtail up to 40 lbs, and many more lost than kept because of their size and strength, but the important thing is that our anglers finally got the action they have been looking for. 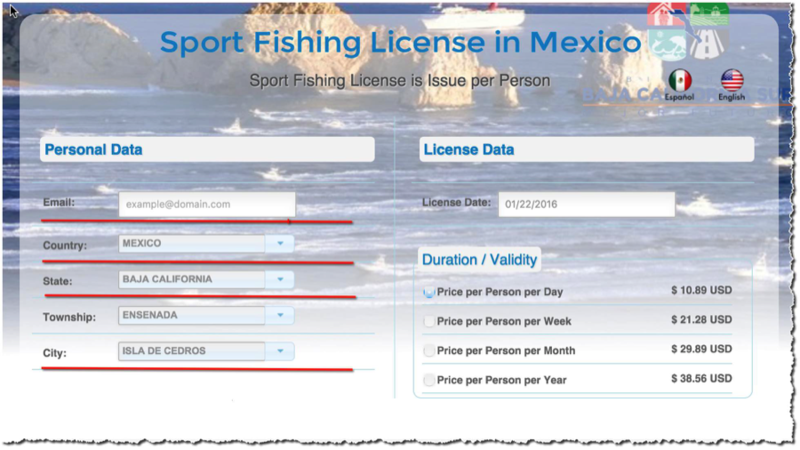 We are seeing some signs that they are biting closer to the normal grounds south of Cedros, but that will be in our next report. On the other hand, calicos…..no problem. 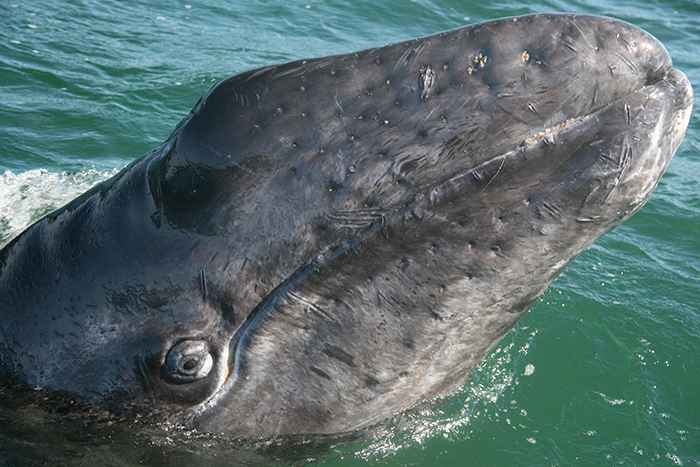 The southwest dense kelp can, and have been producing hundreds of catch and release consistent days of fun. 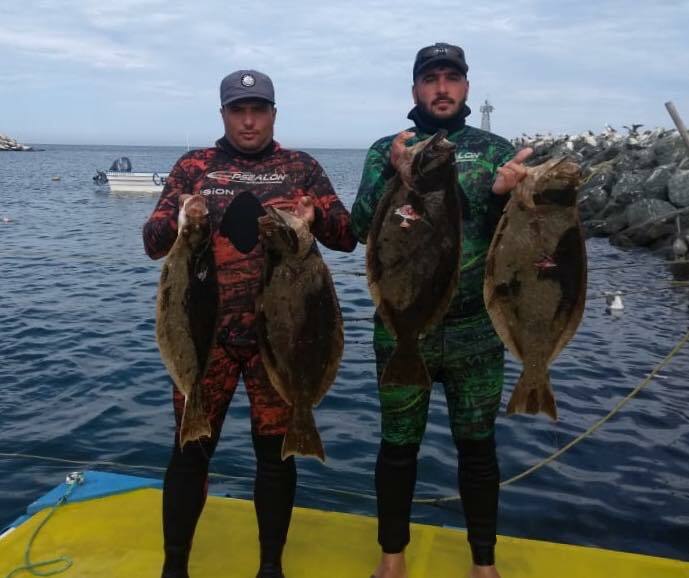 Not many other species this time of year, but several sheephead and some speared halibut. One early dorado in the mix giving hopes of warmer waters bringing the rest of the species on our menu. Weather is mostly sunny and in the high 70’s or low 80’s on the lee side where our lodge is. But once you go around the corner could be colder and windy, so just be prepared. We have also been working very hard to finish our 2 new cabins. One is ready, but the second is taking longer than expected to finish. 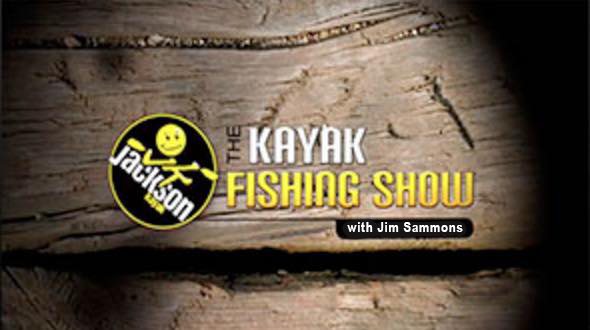 We are increasing our accommodations capacity and our number of pangas available to be able to match the incredible demand from enthusiastic anglers. 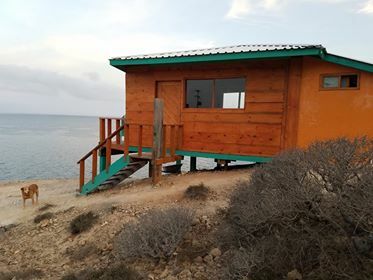 That said, if you would like to book your last minute fishing trip to Cedros Island, take another look at our CALENDAR OF AVAILABLE SEATS AGAIN because this week a few more seats will be available all over the calendar.